On the surface, yoga and martial arts appears to be complete opposites. You’d be surprised that once you have a closer look, martial arts and yoga actually have more in common than most of us realize! For starters, the fundamentals of both practices are awareness, consciousness, and mindfulness, both on the mat, and in life. Those who practice it often view martial arts as more than just a sport or a self-defense practice - it is a philosophy, an art, and a lifestyle. Similar to yoga, it focuses on movements and being present with awareness, embodiment, and precision. 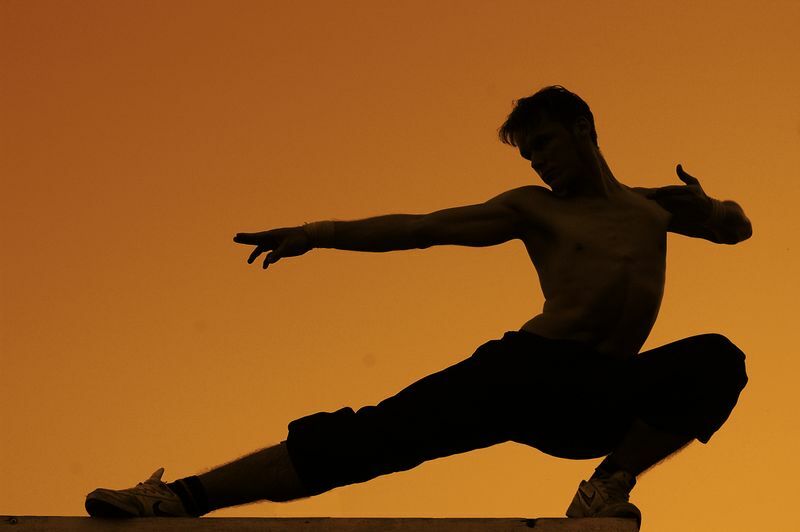 Hence, it is no surprise that various poses and asanas found in yoga can contribute to improving the execution of techniques that are constantly used in many styles of martial arts. When combined, yoga and martial arts effortlessly acts as a yin and yang, balancing each other to form a lethal combination. With regular practice of yoga, your endurance or stamina will inevitably develop along the way. If you’re looking to improve your overall body strength, being able to hold different asanas or yoga poses for long periods of time will serve you greatly by increasing your stamina and mental toughness. As a bonus, the breathing and meditation techniques one learns through yoga may also help to clear the mind more easily and increases focus. 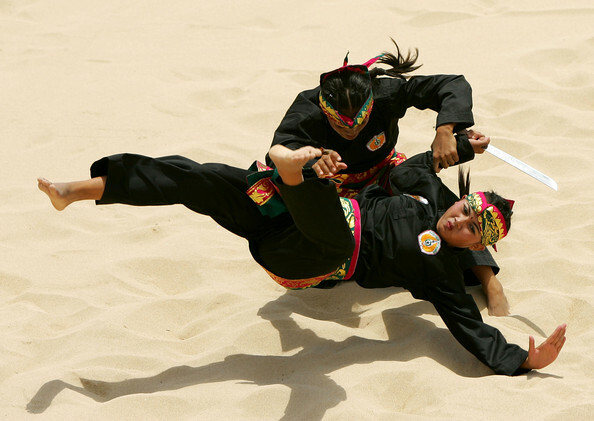 As you may already know, focus is one of the essential aspects of practicing martial arts. With regular practice of yoga, you may just gain that clarity and zen focus samurais and ninjas are known for. If you happen to be those who spend a lot of time hunching over with your shoulders in and chest down during practice, Wanderlust.com recommends for you try the Ustrasana (Camel Pose). This posture will allow you to open up your chest and not only will it help to counter some of your habits from training; it will also naturally give you more space to breathe. In short, more oxygen circulating in your body = more power. In general, increased flexibility is often perceived to be one of the main benefits of yoga and it certainly comes in handy in martial arts practice. Flexibility is highly required for crucial moves such as high kicks and submissions. 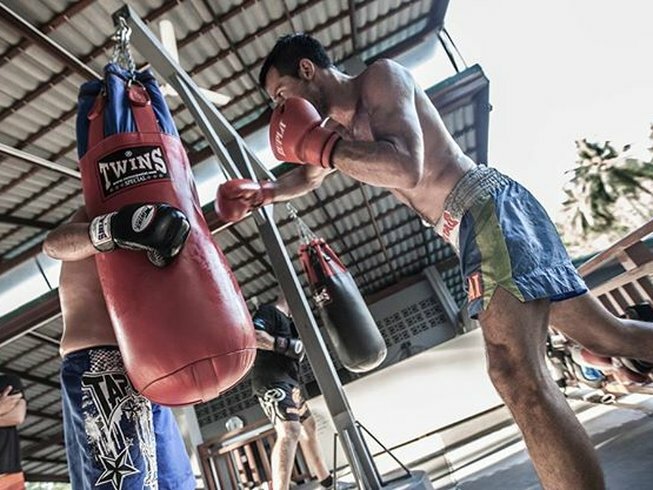 Having increased flexibility will also help in preventing risks of injuries during fights. To start, we recommend to try the Dhanurasana or bow pose that will give you a full backward bend to the entire length of the spine, building strength and flexibility in the back. This posture stretches the neck, shoulder, arms, and legs and expands the Thorac region of the chest. Currently feeling stiff as a board? You can try these 12 yoga poses suitable for those who are not so flexible. Based on just the appearance of yoga poses, even those who are not familiar with yoga would gather that aside from flexibility, it is also an effective way to improve balance. Yoga can help to improve our balance through the increased awareness of our mind and bodies – as they are closely related. Though yoga does require the use of physical strength and flexibility, it also demands that it also requires us to be aware of our mind and energy. 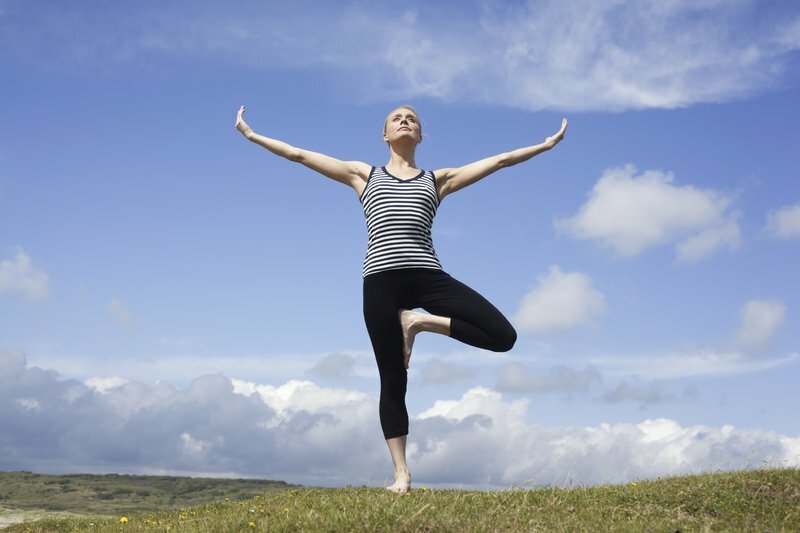 As we our mind and body become more aligned, the easier we would be able to achieve balance. To strengthen balance, one should not only emphasize their practice on one specific pose, instead, opt for a mix of poses that encourages the synchronization of the mind and body such as the tree pose, the eagle pose, the mountain pose and the triangle pose. Core muscles are responsible for the strong punches and kicks. Though yoga is considered a low impact exercise, it has been proven to be effective in developing and sharpening muscle strength. According to Yoga Journal, this type of strength can be developed by holding yoga poses such as the Dolphin Planks, or the Three-Legged Downward-Facing Dog for extended periods of time. 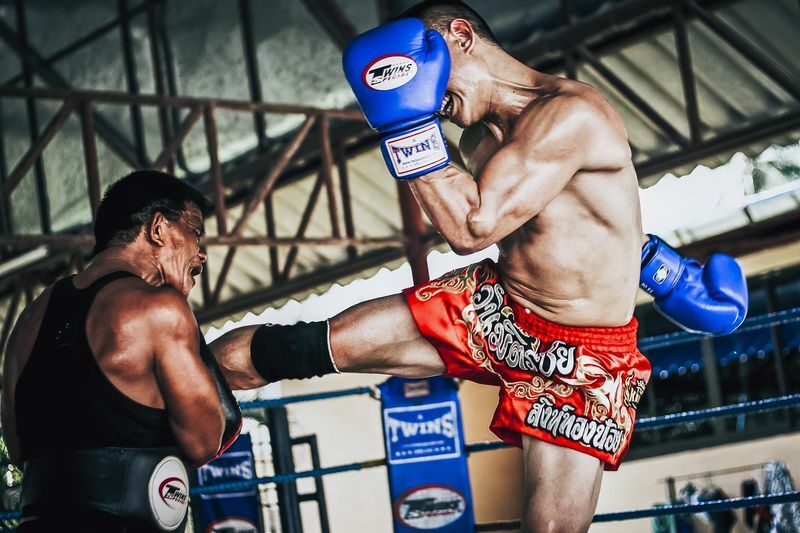 When you utilize your core muscles more often, you will likely experience a massive increase in power that is especially beneficial for practices of martial arts - especially those that require the use of powerful kicks. It also doesn’t hurt that you’ll also be able to get those beautifully toned abs you’ve always dreamt of! Martial artists are prone to injuries, and we all know it is a big bummer to be forced to sit on the sidelines and not being able to practice when you are in the process of recovery. The great news is that yoga not only prevents injuries but it also helps to accelerate to heal them! Should you sustain a minor injury during a fight such as a hamstring injury, why not grab a towel and try doing the Supine Split pose? This hamstring stretch can help you reduce your recovery time and it’ll save you from the agony of suffering from numerous aches and pains after those sparring sessions! It’s important to keep in mind that we don’t have to wait till the new year to make a change. There is no better time to create a list of resolutions and/or goals than now. If you are looking to improve your martial arts practice, we definitely recommend you to learn how to incorporate yoga unto your practice! Be well on your way to become an even better martial artist! Why not join one of our training camps that incorporates yoga classes as a part their program? Feel free to browse through our extensive list at BookMartialArts.com today. Namaste, champs!